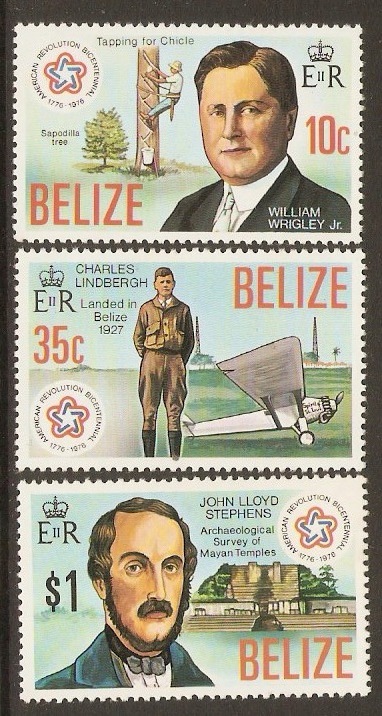 Belize 1974 ½c Butterflies series. SG380. 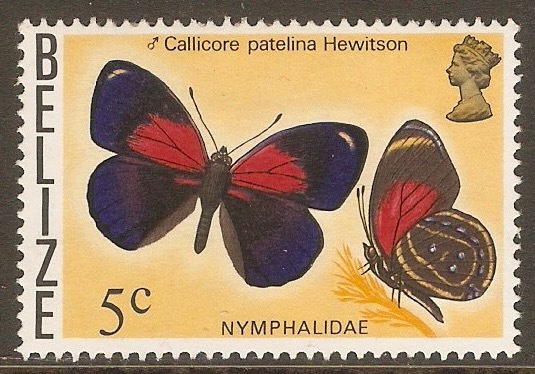 Mounted mint 1974 ½c Butterflies series. SG380. Belize 1974 1c Butterflies series. SG381. 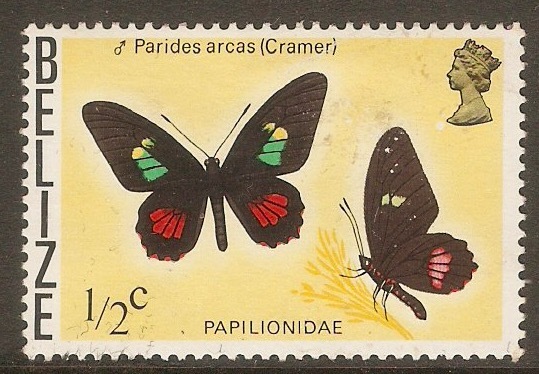 Mounted mint 1974 1c Butterflies series. SG381. Belize 1974 2c Butterflies series. SG405. 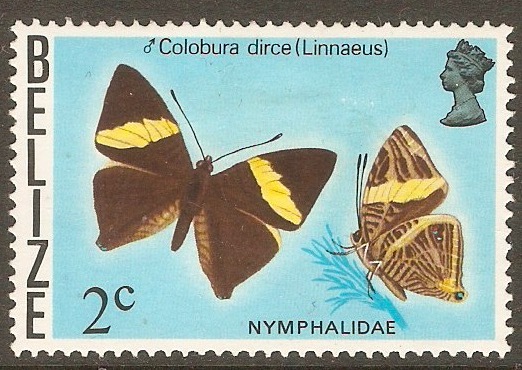 Mounted mint 1974 2c Butterflies series. SG405. Belize 1974 3c Butterflies series. SG406. 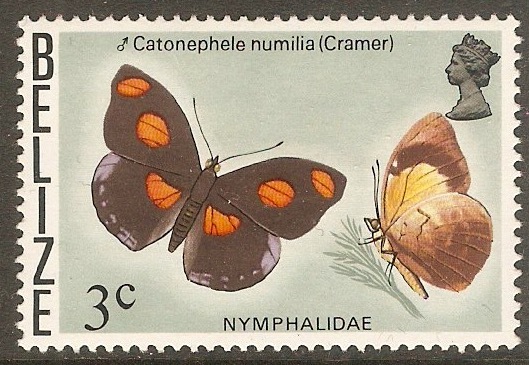 Mounted mint 1974 3c Butterflies series. SG406. Belize 1974 4c Butterflies series. SG407. 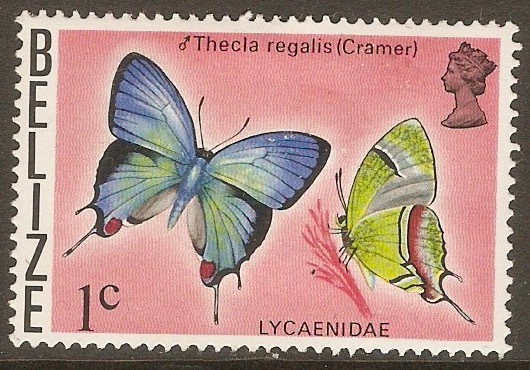 Mounted mint 1974 4c Butterflies series. SG407. Belize 1974 5c Butterflies series. SG408. 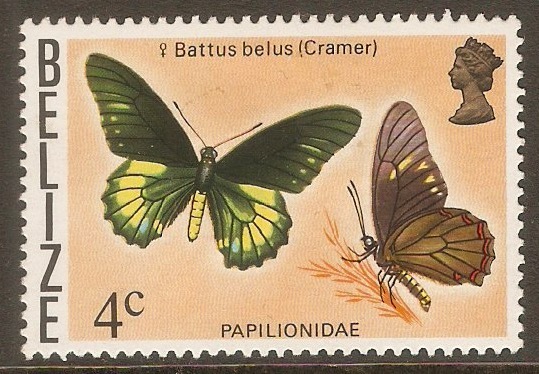 Mounted mint 1974 5c Butterflies series. SG408. Belize 1976 American Revolution Anniversary Set. SG439-SG441. Unmounted mint 1976 American Revolution Anniversary Set. SG439-SG441. 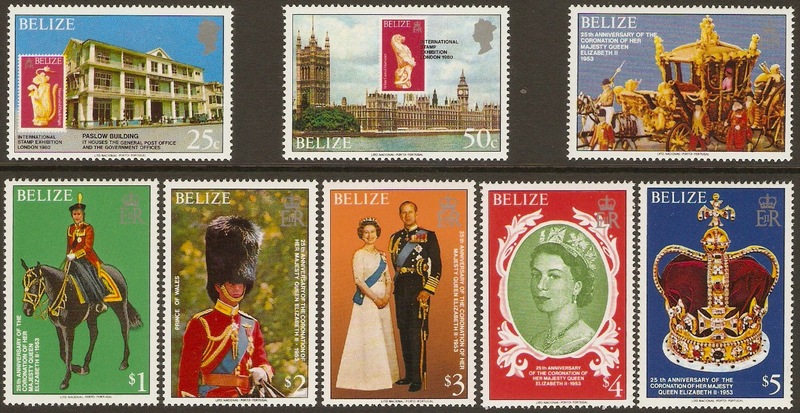 Belize 1978 Coronation Anniversary Set. SG464-SG466. Unmounted mint 1978 Coronation Anniversary Set. SG464-SG466. Complete sheet of 8 blocks of 3 stamps. 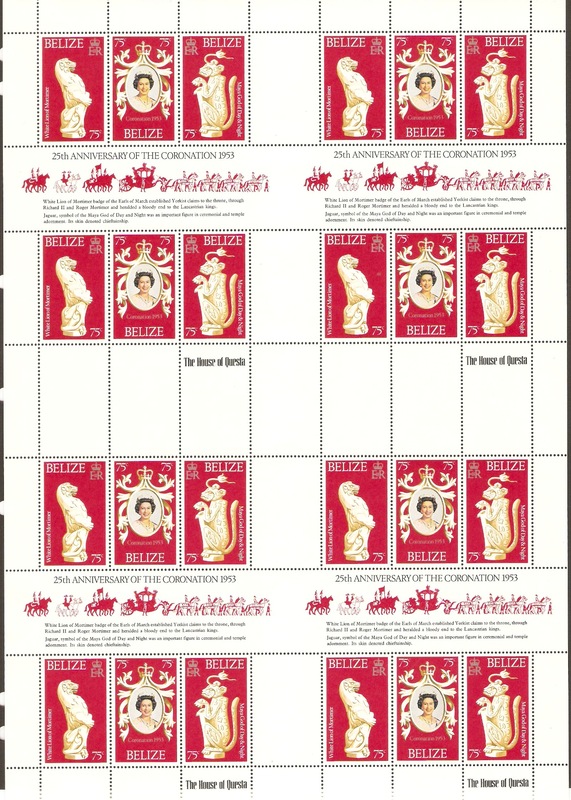 Belize 1978 Coronation Anniversary Sheet. SG464-SG466. Unmounted mint 1978 Coronation Anniversary Set. SG464-SG466. Presentation sheet of 2 blocks of 3 stamps. 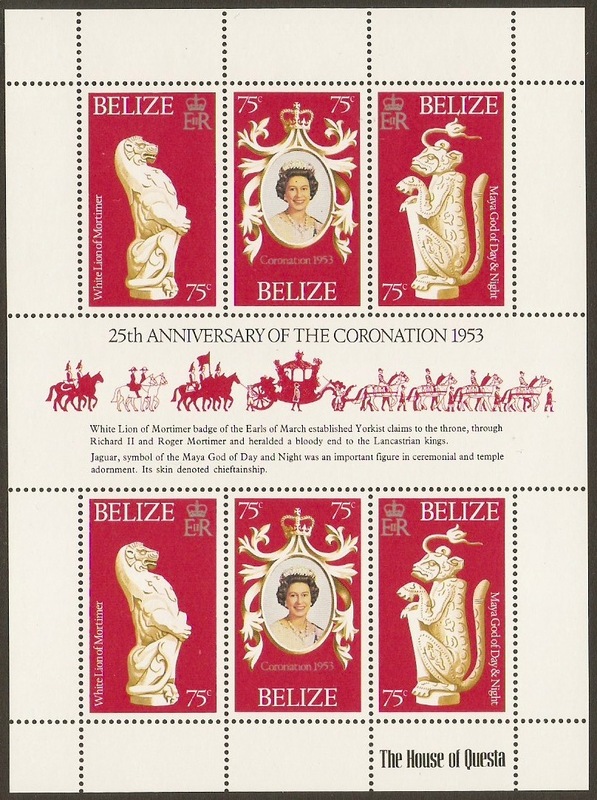 Belize 1979 Coronation Anniversary Set. SG495-SG502. Unmounted mint 1979 Coronation Anniversary Set. SG495-SG502.